Tasty Bingo is all geared up to celebrate their first birthday and everyone is invited for the party. 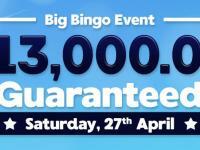 Win a total of £411 this weekend when you join in the celebrations from 4th to 6th March and all you have to do is spend a mere 4p to give yourself the opportunity to win the bingo cash. Tasty Bingo has created three special birthday rooms that can be found in the Birthday tab in the lobby and tickets are priced at 2p each. On 4th and 5th March, the rooms will open at 8am and all games will play at 8pm. On 6th March, the room opens at 1am for the 8pm game. The first game is on 4th March and aptly called the £81 Cake Mix with the winner receiving £81 for the price of a 2p ticket. 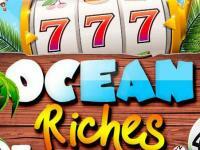 Follow this up with a game on the 5th, the £130 Sugar Coating which will reward one player with a cash prize of £130. You have the choice of buying just one ticket for the game or as many as 48, the choice is yours. You can also pre-buy the cards right away and ensure that you didn’t miss out on the prizes even if you can’t make it for the games. The £200 Cherry on Top bingo game at Tasty Bingo has a special offer – get a maximum of 6 free bingo cards if you deposit a minimum of £5 into your bingo account between 28th February and 6th March. The game will play at 8pm on the 6th and the winner receives £200! 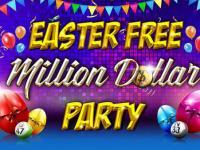 The fun doesn’t stop here; Tasty Bingo is also hosting a Chat party on the 5th and players can enjoy birthday chat games and double chat points. Head down to the Cheers chat room on 5th March between 8 pm and midnight for a fun time. 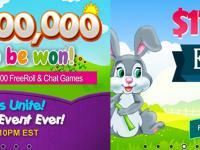 These super offers are open to funded players so sign up at Tasty Bingo today and join in the party. 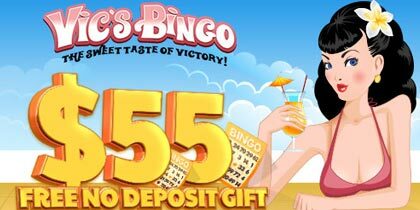 Tasty Bingo has, in the short span of a year, become a force to reckon with in the UK bingo scene. 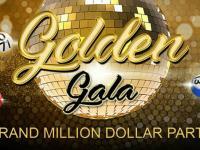 With one of the most competitive sign up bonuses, a variety of bingo games and instant games and super prizes, it is no wonder that the food themed site is such a favourite with online bingo players. 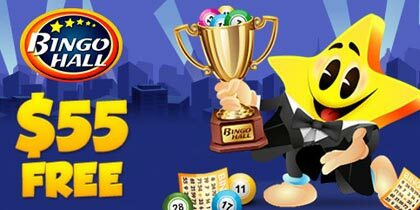 The online bingo site offers a range of 75 ball and 90 ball bingo games including their progressive jackpot versions, penny bingo games and free bingo games galore. Visit the Naked Chef room and win variable jackpots from 7am – 1am every day or top up your account and play the free daily £50 jackpot game in Freshly Baked room at 10pm. The innovative Truffle Tray promotion gives you up to £150 cash back every week and all you have to do is earn some Truffles while bigger promotions like the £2K Belgian Bon Bon will send one luck player off to Belgium and the £2 Mil Thrill gives you the chance to be a millionaire twice over every other Saturday night at 9pm.